​Companion animals are important to many people. 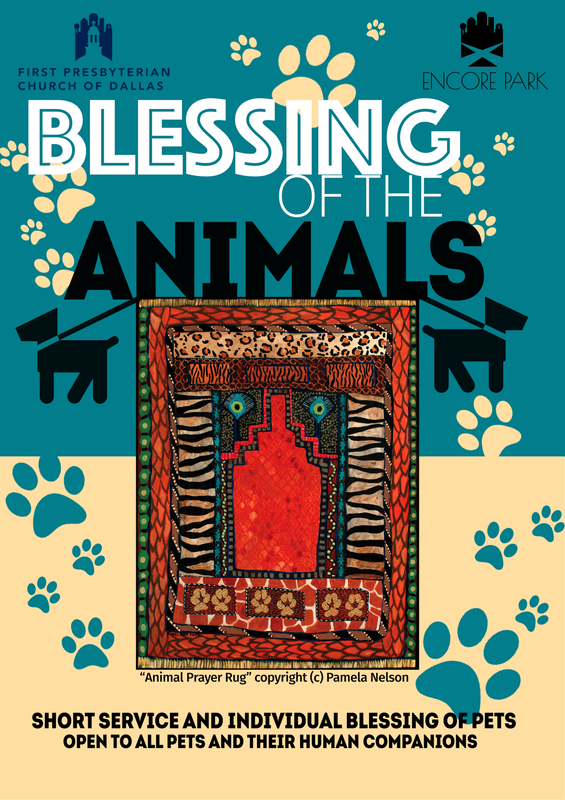 With this in mind, The Blessing of the Animals is one of the ways the First Presbyterian Church of Dallas builds community. The third annual ceremony will take place at the 508 Amphitheater at Encore Park on Sunday, October 1. It will begin the street party to launch The Museum of Street Culture. “All of us have taken in stray animals,” says the Reverend Dr. Bruce Buchanan, Associate Pastor for Mission of the First Presbyterian Church of Dallas and executive director of the Stewpot for thirty years. He has a miniature pinscher that was found on the street and eventually brought in to the safe haven.